Pop up shallow square gift box with satin ribbon ties attached. These boxes are the perfect gift packaging for medium sized gift items. This Shallow Square Gift Box from the pop up range has an easy to assemble design which doesn't require any tape or glue to secure. 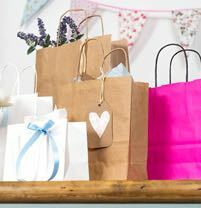 This size can be used for packaging a whole range of medium sized gift items. 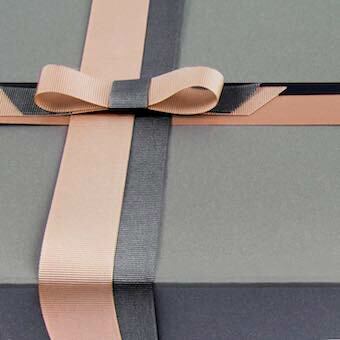 They come with elegant satin ribbon ties attached to the boxes for a bow tied finish. These boxes come flat-pack for minimal and easy storage. We always recommend testing the weight of your item in these gift boxes before making a large order. These boxes are recyclable once the ribbon ties have been removed. 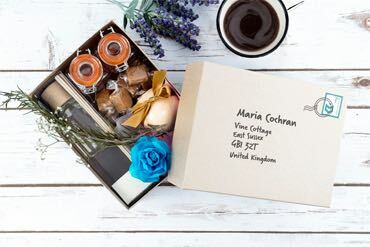 *These boxes can be off-set printed to suit your branding. Minimum order for this starts at 250 units. For more information please enquire by emailing customproducts@tinyboxcompany.com. Please note; printed items of these boxes cannot be purchased via the website.